I recently had my water heater replaced by Todd and the team at Button's Heating Inc. Todd came by and recommended a few other suggestions to clean up the installation from the previous install too. The crew came by and the installation and water heater tank removal was quick and efficient and they also through correcting some plumbing issue fixed my humidifier in the process. The final result was a very clean and impressive installation. I would recommend Button's to my friends and family. Thank you for the review. We at Button's make every effort to make sure the customer is completely happy. 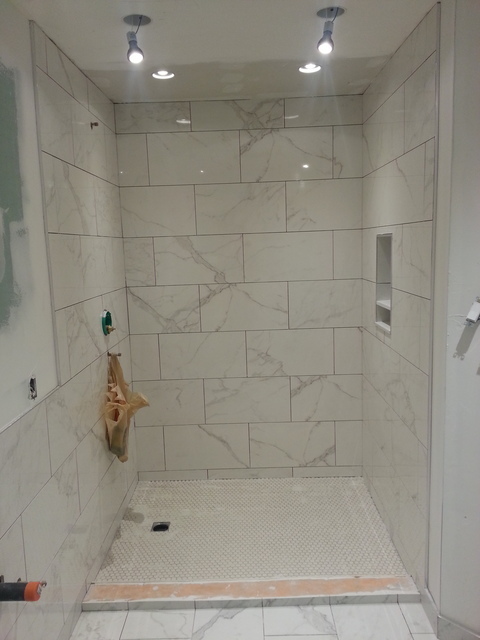 Going over and above by "cleaning up " what previous contractors have done is not uncommon. We want to make sure we are proud of our work. Clean and impressive, as you say, is what we do. I meet Matt at the National Home show this year and was impressed with his presentation and setup. He took time to discuss electrical safety and options on electrical panel upgrades and surge protectors. When it was time to get the panel work done he was well prepared and the job took about a day to complete. Now the panel is well labelled and all the spaghetti wiring nearly bundled up. This was well worth the upgrade and my wife and I are very happy with Matt's work. I had All-Pro landscaping work on a new shed base for my new shed. Angelo was able to fit me in with the job and was very good and letting me know when he was coming by and when the job would be done. Great service and quality work. Hi Jason, Many thanks for your kind words. It is much appreciated. I am glad I was able to fit your job in. I truly enjoyed working for you. All the best, Angelo. Had the Driveway Guys seal my driveway. The owner called and said they would schedule me the following day. They work quickly and use quality sealant on their jobs. Would use again for future driveway sealing. Very professional and they work efficiently. 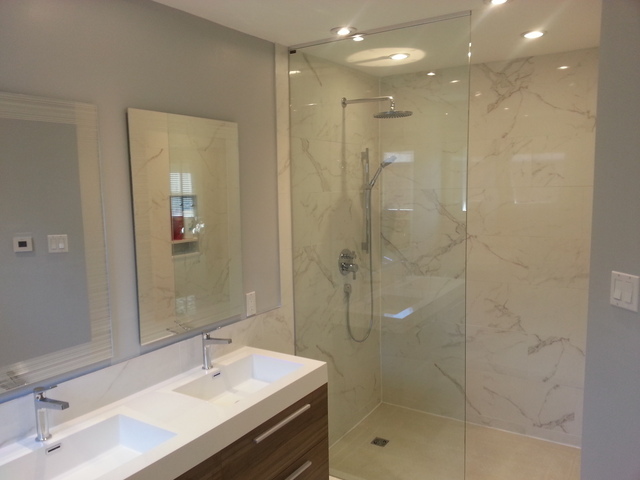 Had a full ensuite renovation completed by Tapworks Kitchen and Bath. Contractors are full time employees and no subcontracting here. Cost estimates were also accurate project on time. I'm already planning more projects with them and would use them again. Great team and great service. They work best via the phone. Had an ensuite renovation where Doors and More came in and finished it off with a custom glass panel for my doorless shower. Installation was quick and very professional. The measurements were perfect. I would use them again for future renos. Thanks for the review Jason. Please feel free to contact us to any installations in the future: 416 820 0210. Thanks, Frank Gartner. I called George to get a new BBQ Gas line to be put in at our house. Also we needed to reconnect the existing cut off gas hookup to our stove. George came by with his dad and recommended for my stove to run an even larger diameter of flex pipe for my high btu stove. I'm glad I went with gasguys, they work was quick and clean. I can't explain how much I love my BBQ gas hookup! Thanks Jason for taking the time to write us a review. It is nice to hear you are enjoying your natural gas BBQ. Thank you again for your business. I spoke with Paul regarding an initial cleaning of our new "old" house. Even though we were closing in 4 months he honoured the current special rate when I called. I was impressed with his professionalism and expertise in cleaning all areas of the duct work (cold air intakes and ducting). I would highly recommend Paul and his crew. Very easy to work with for my first experience with a vendor.